Ben's column, "The Golden Ticket" has run here at the True Dork Times since 2017, when he first wrote about season 34, Survivor: Game Changers. Analyzing the happenings of Episodes 5-7, Ben questions the continued use of the two-to-three tribes expansion swap, argues that Joe's early dismissal to the Edge will actually work against his chances of returning, and picks his potential winner for the season. Ben argues against the perception that Edge of Extinction is failing, highlighting four key points in which he feels the season is a success. Among them: It will be new and interesting to see how Wardog's strategic machinations will fare following the looming return from Extinction. Ben Martell asks if Edge of Extinction's Episode 2 cliffhanger was really a cliffhanger, if the women-and-idols narrative is perhaps a multi-season storytelling arc, and if the Wardog is actually playing the Warthog... and more. After the premiere, Ben runs through the surprises of the first episode: From David Wright's solid debut as a returnee, to the Wardog's fulfilling his as-advertised restraint, to the underdog edits on Manu (and the relationship to Extinction), and the challenge beastliness on Kama. As the new season nears the True Dork Times writers gather to draft fantasy teams of three players. Whose prediction skills will drive their team to extinction? Whose prognostication will give them an edge and a victory? Ben weighs in on the Edge of Extinction central twist, and argues that, if played optimally, it creates an incentive for someone to deliberately be voted out early post-merge, return, then reap the jury rewards. Which really would reinvent how the game is played, since it's the opposite of the concept for the first 37 seasons. Episode 1: Does four pairs beat a royal flush? Ben returns from his blogging hiatus to look at the David vs. Goliath theme, which of the two tribes might contain the winner, and take a deep dive into which of the contestants showed the most winner potential in their first-episode edits. On the Ticket this week: Ben unearths an overlooked Survivor curse, makes an extended Bold Winner Prediction, and argues firmly that James's move was a good one, finding supporting evidence for all this within the edit itself. Ben weighs in on the Ghost Island premiere, with a look at the fallen, a disparaging view of obvious initial tribe imbalances, praise for pairs, and more praise for both strategic quitting and the Legacy Advantage! And more. The True Dork Times writers combine their predictive powers to forecast the voting preferences of the Heroes v. Healers v. Hustlers jurors, with an eye to predicting the winner. And, of course, beating Inside Survivor, A Tribe of One, Purple Rock Podcast, and the RHAP bloggers at the same game. Ben shares some parting thoughts on Lauren and on that marble challenge, then explores whether having a suboptimal social game in fact provides the best path to winning. Along with some final predictions for Heroes v. Healers v. Hustlers. Ben identifies Devon's and Ben's literary antecedents, dissects the double-episode's various strategic moves, evaluates the new power three, then power-ranks the remaining seven contents in Heroes v. Healers v. Hustlers. Ben takes issue with Survivor's editing choices, such as completely omitting Mike's fake idol play at Tribal Council, apparently in favor of necessary exposition of new advantages. He then explores Devon's alleged winner's edit, asks if anyone played well, and tries to predict the upcoming double-episode's two boots. Ben argues that, rather than seeing Desi's ouster as evidence of Chrissy feeling threatened, it's more accurate that Chrissy rightly identified Desi (and Ali, and Roark) as a long-term threat in the game. Also, a look at Lauren's advantage, and whether Joe was the correct target. Following the merge, Ben attempts to separate audience reactions based on editing from the likely reality of the game itself, with particular emphasis on Chrissy's gameplay, Ben's alleged swing-vote status, the decision to target Jessica, and more. Ben re-examines Ryan's move against Ali (and Roark), then delves at length into what makes a compelling Survivor character, and why their relative prevalence this season is helping Ben enjoy Heroes v. Healers v. Hustlers. Ben examines whether Roark was swap-screwed, whether Ryan's move was a good one for his long game, whether Ali has allies, whether Chrissy's social game is consistent, and more. Ben praises a successful swap, and boldly predicts which tribe might be the big loser from it (hint: anti-Matsing), the fate of an idol mind, and the future success of a dork alliance, a disadvantaged voter, and someone fishing for allies. Ben examines how timing affects the success of Survivor moves, with some good (Ali), and some bad (Cole), and some more good (the upcoming swap) on display in Episode 3 of Heroes v. Healers v. Hustlers. Episode 2: Have we found the final two? Ben takes a quick look at the departed Simone's game, ponders the significance of the Ben-Chrissy pairing, examines Joe's gameplay, and praises Heroes v. Healers v. Hustlers' apparent return to editing form. Ben takes stock of the state of the strategic metagame entering the season premiere of Survivor: HHH, then looks in-depth at the Heroes, Healers, and Hustlers tribes, and the Super Idol, plus a few odds and ends. In the brief break between the week 9 episodes and the final two airings, Ben re-examines Avi's Survivor integrity, Barb's continuing mystery, the twist at the end of Episode 18, and explores some final three jury jeopardy scenarios. With just one week of shows left, Ben explores the role 'Survivor integrity' plays in Survivor NZ contestants' games, whether its possible to win with such, and who that winner might be. Also loincloths. As Survivor NZ sees a massive power shift, Ben re-evaluates where that leaves the respective games of Barb, Shannon, Jak, and Avi, and the now less brightly lit path the season appears to be following. Ben ponders the suggestion that it's a New Zealand tendency to be relaxed and understated in the face of adversity (and success), weathers the surprising highs and too-obvious lows of the edit, and finds the best and worst players out there. Ben dives into the intrinsically New Zealand-isms of Survivor NZ, revokes his Hero Challenge endorsement when it applies to reward challenges, talks about the Redemption Island quasi-cliffhanger, and with the merge approaching, maps out how he sees the remainder of the game playing out. Survivor NZ loses two players in week three, via Redemption (the good) and medevac (the ugly), but several contestants gain new life via the tribe swap, while one notably does not. Ben looks ahead at how this sets up the looming merge. Ben ponders the significance of Nate's emergence from an otherwise one-dimensional Hermosa, and Shay as a strategic player, then praises the hero immunity challenge concept and the surprizing vote outcome. 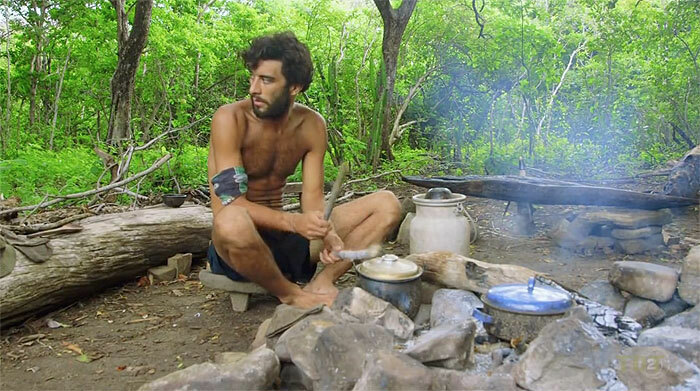 Covering the first two episodes of SurvivorNZ: Nicaragua, Ben explains his connection to Avi, asks if Dee's exit was one of the cruelest in Survivor history, then explores the Mogotón, er, 'Megatron' tribe in-depth. By way of introduction, Ben lists some common themes and social differences that might be expected to arise in a season of Survivor played by New Zealanders. And roots for Avi, of course. 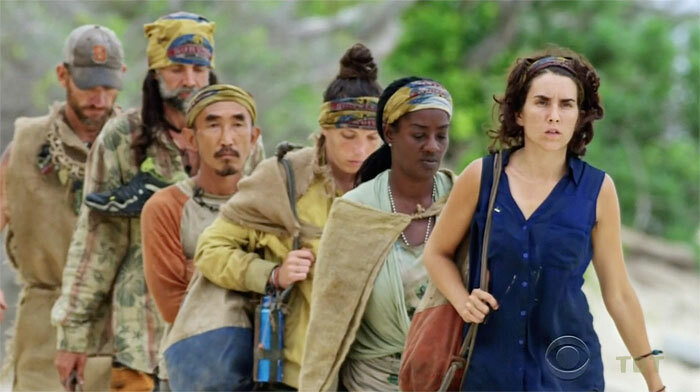 Heading into the finale, Ben reflects on the two bootees, evaluates Cirie's attempted move (and the heavy hand of the rules), and revisits the three key stories, at least two of which now seem broken. Marking his path to the end, Ben looks back briefly at Sierra, the Legacy advantage, and the five stories he sees as secondary, then dives deep into the three stories of potential winners. Ben reflects on the two-season evolution of Zeke's game, whether his boot was made by 'idiots,' the passive minority alliance voting, and the Game Changers season as a whole (thus far). Ben catches up on the past three episodes, acknowledges the departed, then evaluates the remaining ten contestants' positions in depth, heading into the final four episodes of Game Changers. Ben responds with a message of compassion for the participants of the Tribal Council in Episode 7 of Survivor: Game Changers, "What Happens On Exile, Stays on Exile." Ben explores Sandra's alliance-grooming (and fall), Tai's underratedness, Brad's rising edit, Cochran's cameo, and the emerging post-merge battle lines, as seen in Episode 6, "Vote Early, Vote Often," of Game Changers. Ben explores JT's regression, Sandra's mastery, Debbie's meltdown, and Sarah's edit, as seen in Episode 5, "Dirty Deed," of Survivor: Game Changers. Plus a look at the state of the game, heading into another swap. Ben takes a deep dive into the intents, events, and discontents of the chaotic combined Mana-Nuku Tribal Council in Episode 4, "The Tables Have Turned," of Survivor: Game Changers. Ben examines the changed games evident in mellow Troyzan, social Brad, and various people searching for goats, in Episode 3 of Survivor: Game Changers. Ben sorts through the changes in the contestants' games (and lack thereof) in the two-hour premiere of Survivor: Game Changers. Plus a brief re-evaluation of everyone's current game position. Ben takes a deep dive into the respective prospective chances of the new Game Changers cast members' changing the game enough to win in Season 34. With bonus commentary from his mother! Introducing The Golden Ticket, Ben Martell's new column at the True Dork Times. This week: An introduction of sorts, all leading to a secret formula for success in the current Survivor metagame.